Dear friends of The Pyromantics! From the three nominations for the Country Music Awards of the Austrian Country Music Federation (ACMF) we could take home one award: Matthias “Titus” Stein was voted Musician of the Year (now for the fourth time). Many thanks to everyone who nominated and voted for us! The Pyromantics: The fiery country band around singer/songwriter Micah Aguirre from the USA (San Diego, California) has been around since 1997 and has delighted audiences at countless national and international country festivals. 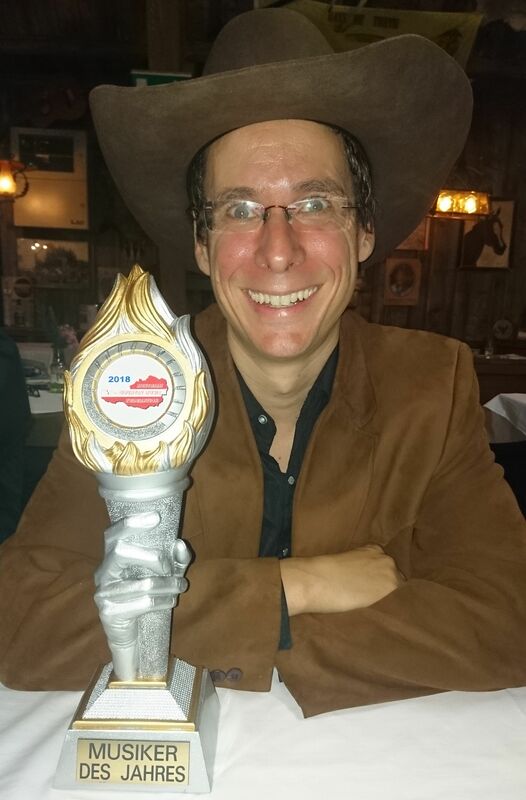 Micah has already received the “Singer of the Year” award 6 times from the ACMF (Austrian Country Music Federation). In addition to his convincing voice, the likeable entertainer regularly advances to become the darling of the audience. The 5 outstanding musicians Titus, Alex, Steff, Herby and Jefty provide the perfect sound. Titus has received the “Musician of the Year” award from the ACMF already 4 times. The authentic and varied instruments (Fiddle, Mandolin, Acoustic & Electric Guitars, Lapsteel, Harp, Piano, Bass, Drums, Percussion) as well as the sometimes four-part vocals are an absolute pleasure. Both the studio CD “on track” and the DVD “video tracks” were each awarded the ACMF-Award. On stage these 6 guys always ignite a musical and emotional firework whose sparks inevitably jump over to the audience. 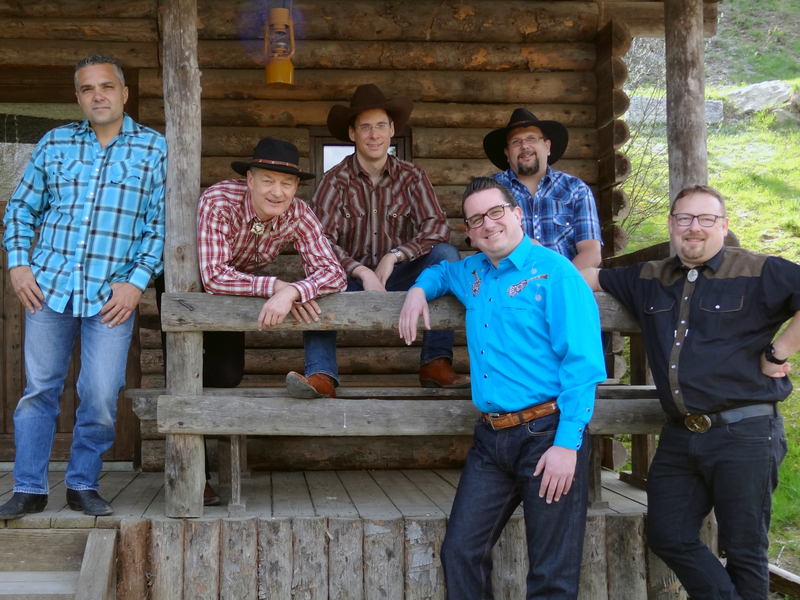 With their carefully selected repertoire (country music, rock’n’roll, bluegrass, rockabilly, hillbilly) the band has always found the right mix for a broad audience. Even off stage this troupe, which has been sworn in for many years, understands itself blindly, and besides the high quality, it is not least their close friendship, which is irresistibly noticeable as infectious fun in the music. If you have the chance to see The Pyromantics live, you should definitely use it: The band gives a maximum of 15 concerts a year.